We are promoting our Have Your Say Youth Survey for 12 – 25 year olds which closes 5pm 8th November 2013 with the opportunity to win JB HI Vouchers for $100.00 This is an opportunity for young people to provide the City of Mandurah with what they are concerned about in the community and voice their needs. Having trouble reading this email? View it on your browser. Don’t want to receive this newsletter any more? Unsubscribe instantly. Poll for the Division of Canning declared! The poll for the Division of Canning has been declared and I am grateful to have been returned for my fifth consecutive term in the seat. I am humbled to have been granted such support by the people of Canning and am ready to help govern this nation in a way our society deserves – purposefully and methodically. There is a lot of work ahead for the Coalition but we are ready. The Coalition will deliver better services to Australians, more efficiently and without Labor’s waste. The carbon tax will go; our borders will be more secure; there will be more jobs and a stronger economy; we’ll help families get ahead and deal with cost of living pressures. As always, please do not hesitate to contact me should I be able to assist you in my capacity as your local Federal Member for Canning. The seat of Canning was won by the Liberals on first preferences alone, with 51.04% of the first preference vote. It was Labor’s worst performance in the seat since 1963. Don Randall is now the longest serving Member for Canning since the first election in the seat in 1949. Despite the seat of Canning containing two state safe Labor electorates, every polling booth in Canning was won by the Liberal Party except one – this booth trailed on the two party preferred by only four votes but still saw an 11.38% swing to the Liberals in the 2PP count. While the Liberals gained 51.04% of the first preference vote in Canning, the first preference Senate vote for the Liberals in the division came in at 38.1%. Nationally the Liberal/National Coalition gained a +3.58% swing. The swing to Liberal Don Randall in Canning was +9.57% making it the 8th largest swing in the country. Regional Development Australia (RDA) Committees in Western Australia are working with local governments and business and community organisations to address their digital needs and take advantage of the digital opportunities available particularly with the rollout of the National Broadband Network. We have commissioned a benchmarking survey of information and communication technology (ICT) use by businesses in Western Australia. 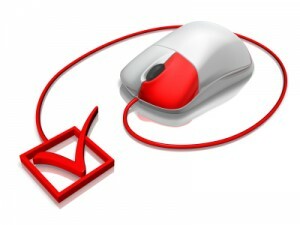 It is a simple tick box survey and should only take 5-10 minutes to complete. So that we get the broadest picture of what is happening across the state, we need to get as many organisations as possible to complete the survey. Every participant will get their own personal report card that will provide an industry and regional rating and help them in determining their ICT decision making in the future. The results will provide the RDA Committees with a region by region and industry by industry overview of where and what the knowledge gaps are. This will enable us to work with Governments and relevant organisations to provide support targeted at the specific needs of business. Please take the time to complete this survey and feel free to forward the link to other businesses. It will help us to get the best possible picture of local needs.